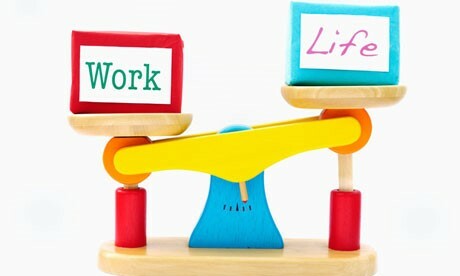 As someone who struggles with life-work balance, I find this idea comforting. It’s hard to remove your professional life from your personal life, especially when you enjoy seeing work colleagues and friends outside of work. Physically: “My exercise regimen gives me the energy and stamina to tackle whatever comes my way during the workweek.” Although, unlike the author, I do not exercise for an hour each morning, I have started to do push ups and sit-ups with the help of a handy app. Intellectually: “My reading habits keep me on top of what’s happening in my industry, the economy, the markets, and the world at large — helping to inform my decision-making at the office.” I too love reading magazines, an online newspaper and scrolling through social media to catch the latest things that others in my circle are reading. Some of you probably have received forwarded articles from me. Emotionally: “My involvement with outside organizations enables me to connect with all sorts of fascinating people— demographers, educators, social scientists, healthcare leaders — who have invaluable insights about trends with important business implications.” My best days are spent casually catching up with people. I truly believe that face-to-face time with others can be inspiring, motivating and fun. As much as my schedule allows, I try to meet up for lunch or coffee with people, because I know that this is the best way to build relationships. The restorative power of doing what you love is invaluable. In an ideal world, you love your work and that is what makes you happy; but if not, find creative ways to stay stimulated and healthy outside of your work environment. Perhaps a yoga class, regular walks in local parks and trails, going out with friends for dinner where you are intentional about not bringing up work related stressors. Try it! You’ll see that it will fill you with energy and positivity. And we all could use some of that throughout our week.